Within a month of his appointment as the new Secretary-General of ASEAN, H.E. Dato Paduka Lim Jock Hoi visited the home of One ASEAN, One Response – the AHA Centre. Together with Deputy Secretary-General of ASEAN Socio-Cultural Community, H.E. 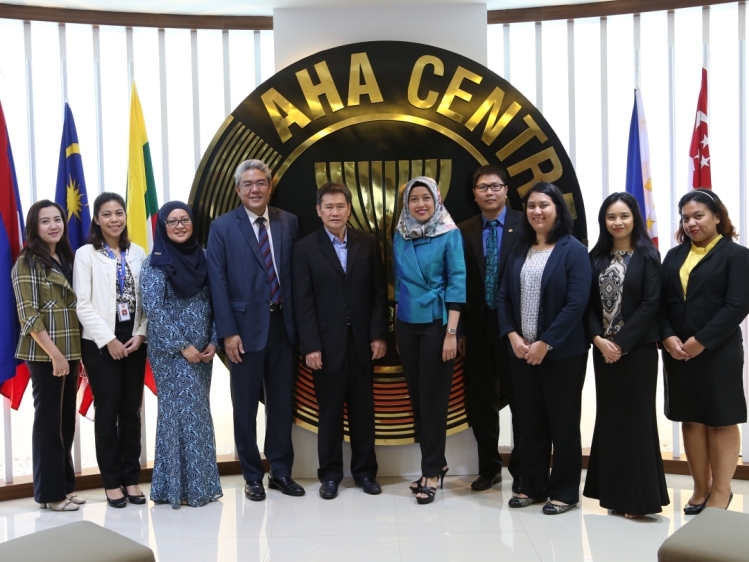 Vongthep Arthakaivalvatee, and other ASEAN Secretariat delegates, Dato Lim Jock Hoi undertook a tour of the AHA Centre’s office in East Jakarta. During this visit, the Executive Director and staff of the AHA Centre shared updates regarding the activities of the organisation, as well as the updated status of the standby relief items in ASEAN’s warehouse. The Secretary-General was highly supportive of the AHA Centre, and stated his aspiration to enhance multilateral and cross-sectoral cooperation for disaster management in the region. H.E. Lim Jock Hoi further commended the work of the AHA Centre and recommended that the AHA Centre continue to share information about its work and activities, coordinating disaster management across ASEAN. Alongside this, he also committed to support the AHA Centre in its resource mobilisation efforts. Before his departure, the AHA Centre presented Dato Paduka Lim Jock hoi with an ASEAN vest embroidered with his Excellency’s name. 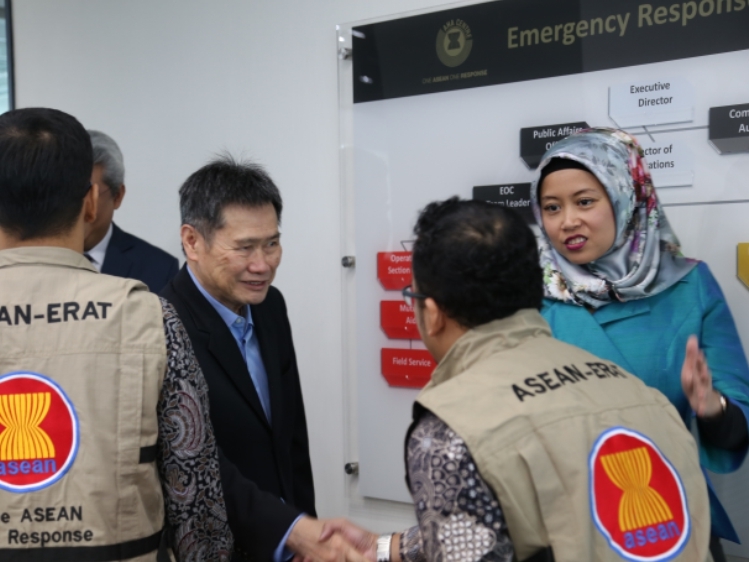 The AHA Centre fully supports the leadership of Dato Lim Jock Hoi as the 14th Secretary-General of ASEAN as well as the ASEAN Humanitarian Assistance Coordinator, and looks forward to further collaboration during his tenure throughout the next five years.